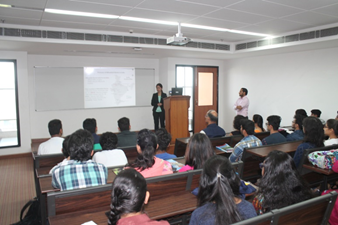 The Dept of Mechanical Engineering and the Dept of ECE organized an expert lecture on today’s highly demanding topic of ‘Industry Automation and Programmable Logic Controller’ by industry expert Ms Ripanjeet Kaur, Senior Engineer, Mitsubishi Electric India Private Ltd, Gurugram on 17 March 2017. The expert lecture was attended by ECE and ME students from 4th, 6th and 8th Semesters. Ms Ripanjeet also highlighted the type of work and research that was being done at Mitsubishi Electric India Private Ltd and its various plants located worldwide. The future developments needed in the area of automation and PLC were also discussed by Ms Ripanjeet. 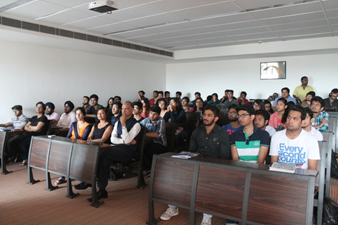 The talk was followed by an interactive session wherein students actively participated in clarifying their doubts. The talk was coordinated by Dr Shiv Manjaree Gopaliya, Dept of Mechanical Engg, Dr Anjali Garg and Ms Shaveta Arora Dept of ECE.